Spanakopita Mini Fritattas, South Beach Recipe – What's for dinner, Doc? South Beach, Phase 1 recipes include lots of eggs for breakfast. I don’t love eggs but I like quiche. Quiche is delicious because of its rich egg custard and flakey pastry crust. 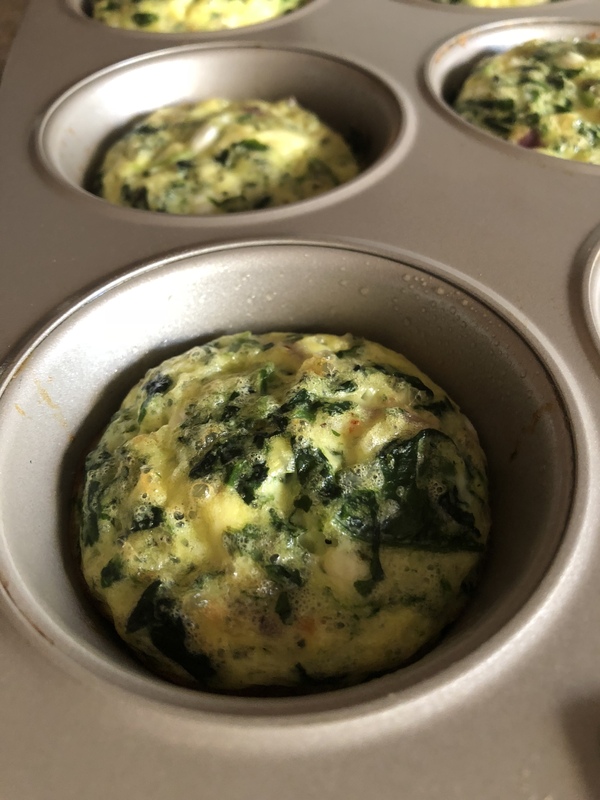 Wheat pie crust is definitely not on the Phase 1 list of approved foods, but these spinach packed frittatas are low carb and perfect for breakfast. They can be made in advance and reheated as needed. The flavors are reminiscent of spanakopita with lots of spinach, onion, garlic, feta and parsley. Preheat oven to 350F. Microwave 2 cups of frozen chopped spinach with 2 tablespoons of water for 4 minutes. Let drain in a mesh colander. Microwave 1/2 cup of chopped onion with 2 teaspoons of olive oil for 1 minute. 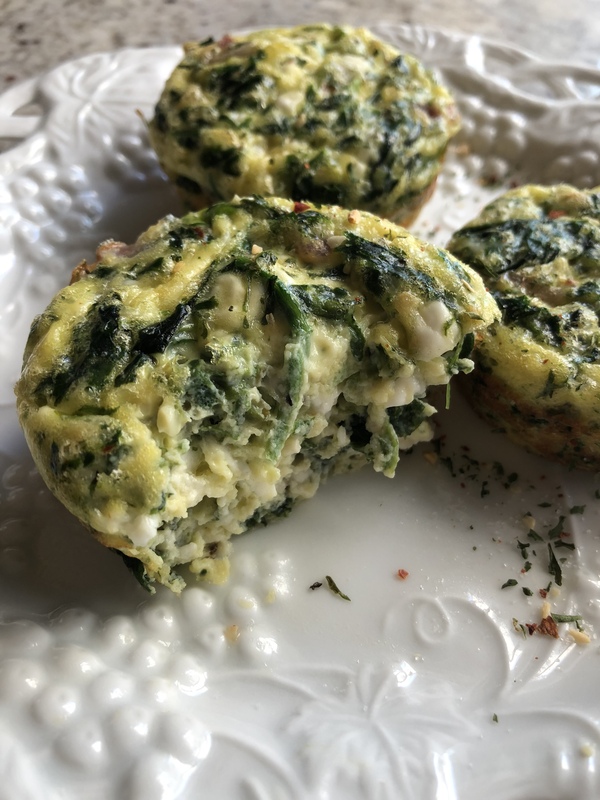 Combine cooled drained spinach, onions, 5 eggs, 1/2 cup low-fat cottage cheese, 1/2 cup feta cheese, 1 tablespoon dried parsley, 1 teaspoon salt, 1 teaspoon garlic powder, 1 teaspoon red pepper flakes, a few grinds of black pepper. Pour into non-stick cupcake pan, prepped with olive oil spray. Fill to 3/4. Bake for 20 minutes in preheated oven. If you have time, serve these with Canadian bacon and/or a bowl full of greens, cucumber and cherry tomatoes. Drizzle salad with olive oil. They would be great in a packed lunch or as an afternoon snack. 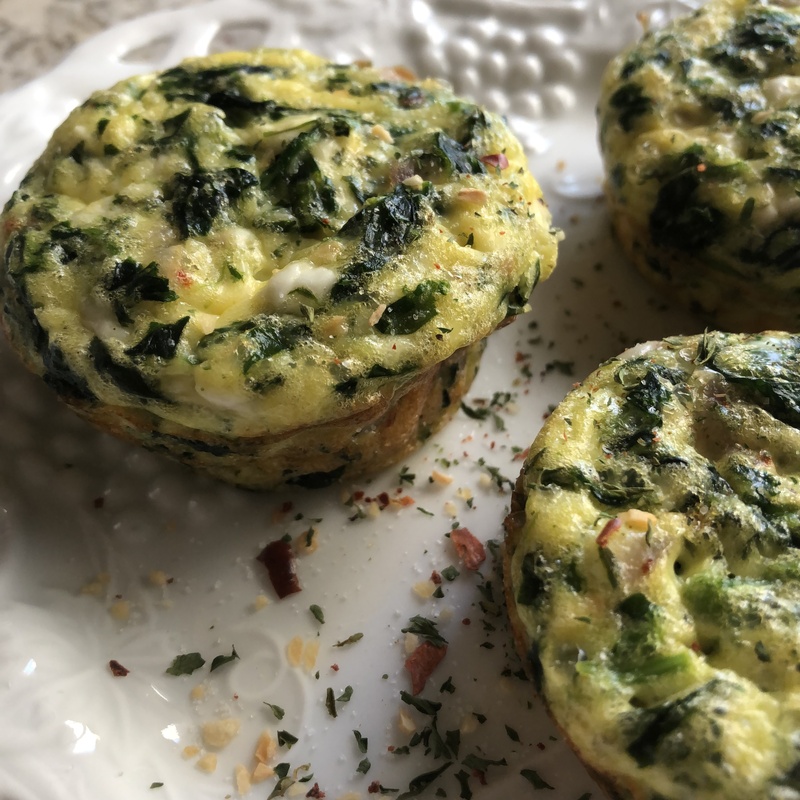 If you like quiche you can modify most recipes to reduce the fat and of course skip the crust. 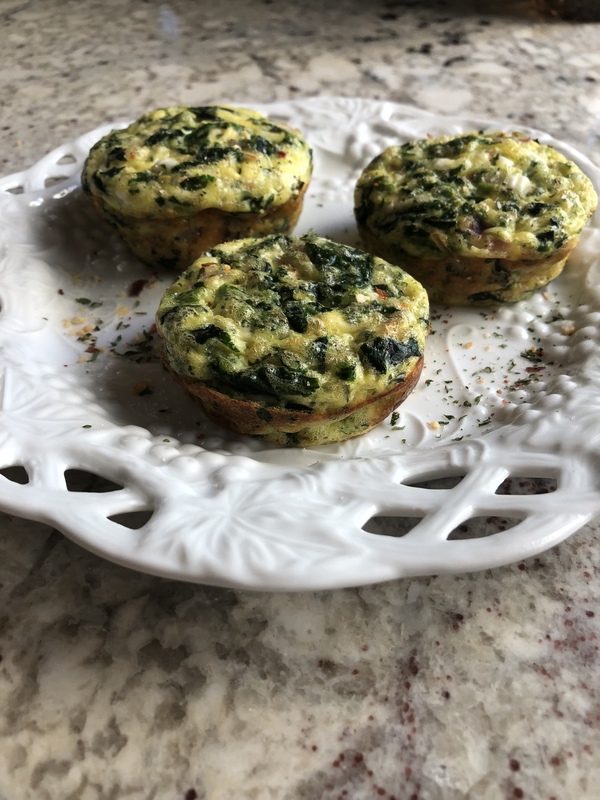 You might find inspiration on my Pinterest Board Quiches. Here’s a recipe from MyBajaKitchen for crab quiche. Weigh in tomorrow; stay tuned. Thank you, they are easy and delicious. What a brilliant notion, mini fritattas. Hi Tish, nice to see you in my kitchen. These are great for make ahead breakfasts or snacks. Delish! I made these on Sailboat BOB and they disappeared quickly! I miss Bob, 2019 looks like a good year to return to Alaska. We can follow that whales and orca from Baja to Alaska. Thanks for stopping by my kitchen. Regards to Monique. Thanks for stopping by. They are so simple. So cute Tracey – I love that you make them as mini servings – although that wouldn’t see me stopping at just one! Pingback: BrightLine Eating, Getting Sugar Out of My Life, Can I Do It? – What's for dinner, Doc?